A couple of Android games that reflected the real-life conflict in Gaza have been pulled from the Google Play Store. The games, Bomb Gaza and Gaza Assault, were removed by Google yesterday following a public outcry. 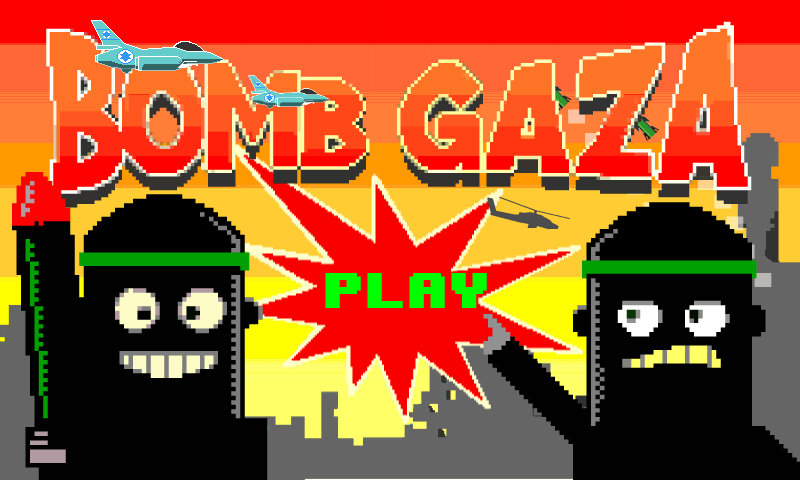 Released on July 26, Bomb Gaza aimed to encourage players to drop bombs on terrorists while avoiding killing innocent civilians. The game, which was designed for Android smartphones and tablets, ends after a player has killed too many civilians and the rage meter reached its limit. The game was developed by PLAYFTW and was downloaded up to 1000 times. Google's decision to remove the app came after the game triggered outraged comments on the Google Play Store review page, as well as on the gaming company's Facebook page. "Please take this off the Play Store. It is offensive and I am really let down that Google actually allowed this. If this game isn’t removed I’m starting a Google boycott", wrote a user. When reached out for a comment, a Google spokesperson said that the company does not comment on specific apps, but added that it removes apps that violate its policy. Other similar games, like Iron Dome and Hamas Rockets, are still available in the Play Store. The ongoing conflict between Israel and Gaza, which started on July 8, has already taken the life of over 1800 Palestinians, most of them civilians.